Amazon provides a lot of great Fire TV apps through their official app store, but it doesn't have everything. If you want to unlock the true potential of your Fire TV device, you can sideload apps like Kodi, Allcast, and even emulators. 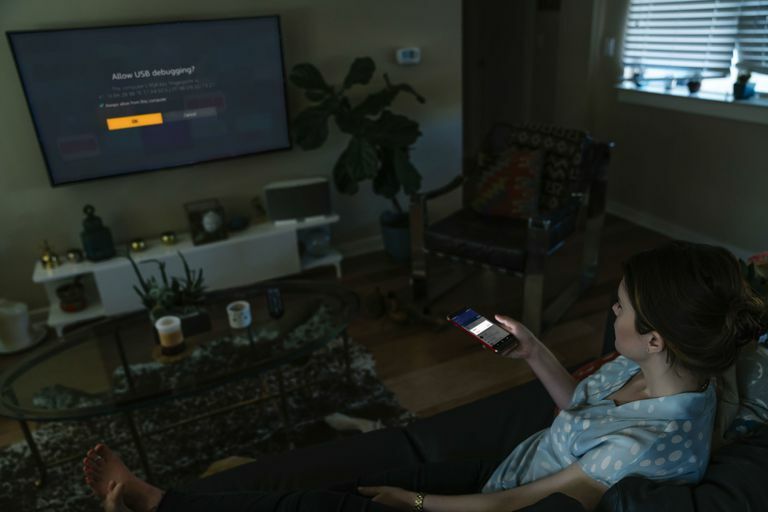 Sideloading a Fire TV device isn't difficult, and it doesn't require any special equipment, but it is more complicated than downloading and installing official apps. Why Should You Sideload Fire TV Apps? Sideloading is a process that allows you to install applications on a device using unofficial methods. In the case of Fire TV devices, sideloading allows you to install applications that aren't available through the official Amazon app store. This allows you to run a lot of Android apps that you normally wouldn't have access to, like Kodi. To sideload an app on a Fire TV device, you need an APK file for that app. You can typically get these files directly from the developer's official site, but there are also a number of reputable third-party sites that provide APK files. The two easiest methods of sideloading a Fire TV device are to use a downloader app or to sideload directly from an Android phone. The first method uses an app from the Amazon app store to download APK files to your Fire TV. Once you've downloaded an APK file, you can install it. The second method sideloads apps directly from an Android phone to a Fire TV device through your Wi-Fi network. Regardless of which method you use to sideload your Fire TV device, the first thing you need to do is prepare your device for sideloading. For security reasons, Fire TV devices are not able to sideload apps unless you change two settings. This is an easy process, and you only need to do it once. Open the Settings menu on your Fire TV device. Depending on the type of Fire TV device you have, and how recently it has been updated, you may need to select Device instead of My Fire TV. Turn on both ADB debugging and Apps from Unknown Sources. To confirm that you want to run apps from unknown sources, select Turn On when prompted. Your Fire TV device is now ready to sideload using either of the following methods. You can sideload apps to any Fire TV device, including the Fire TV Stick and Fire TV Cube, using a downloader app. This method doesn't require any additional equipment, because it uses a downloader app that is freely available from the official Fire TV app store. Only download and install APK files from official sources and trusted third-party sites. Search for Downloader using the search function or Alexa voice search. Locate Downloader in the results, and select it. This app is free, but it's still added to your library when you first download it on any Amazon device. If you have previously used this app elsewhere, you will see a You own it message. You still need to download it to your Fire TV device before you can use it for sideloading. Wait for Downloader to install, and open it. Enter the address of the site associated with the app you want to download. For example, you can download the Kodi app from kodi.tv/download. Only download apps from official sources and trusted third-party sites. If you don't know where to find the app you're looking for, one of the best sites to find Fire TV apps is apkmirror.com. Use the circle pad and center button on your Fire TV remote to navigate the app website, and locate the app you want to install. When there are multiple versions of an app available, look for one that is designed for Android, or specifically for Fire TV. If the app is available in both 32-bit and 64-bit versions, choose 32-bit. Your sideloaded app is now ready to use. If you have an app installed on your Android phone, and you would like to have the same app installed on your Fire TV device, there's a way to sideload directly from your phone to your Fire TV. This method requires an Android phone, so it isn't useful if you only use iPhones. This method only works if the app you want to sideload is designed to work with Fire TV. If you try to sideload an incompatible app, you'll get an error message. Download and install Apps2Fire on your Android phone. Open the Apps2Fire app, and tap the ⋮ (three vertical dots) overflow menu icon. On your Fire TV, navigate to Settings > My Fire TV > Network, and write down the listed IP address. Locate your Fire TV device in the list, and tap it. Depending on your network, the devices in your list may or may not have names. If the list consists entirely of IP addresses, you'll need to refer back to the IP address that you wrote down in the previous step. If you don't see your Fire TV in the list, make sure your Fire TV and your phone are connected to the exact same Wi-Fi network. Locate an app you want to sideload to your Fire TV device, and tap it. Check your Fire TV. When prompted, select OK.
Go back to your phone, and tap OK. The sideloaded app is now ready to use on your Fire TV.